In 1933, my mother wrote in her diary, “There is no future for Jewish youth in Germany. I think I shall go to Palestine.” “Why would you leave?” her family and friends asked? Today we know she was right. She didn’t go to Palestine, however. Instead, when family in Chicago sent her papers, she came here. 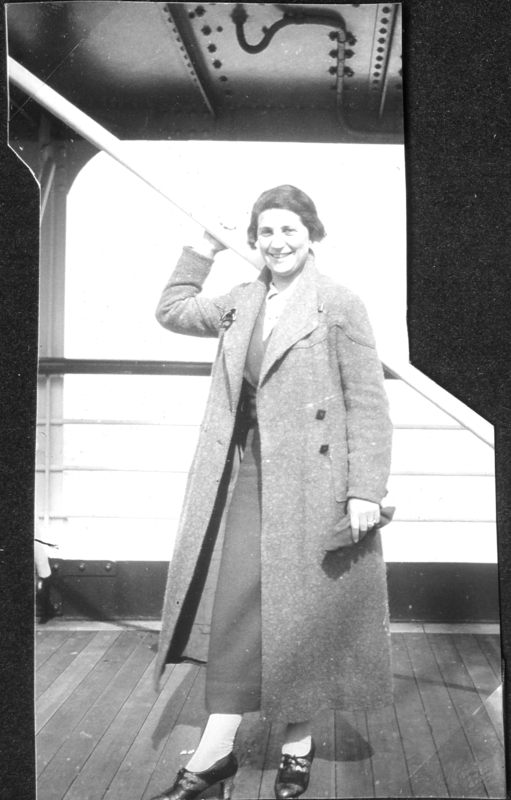 Instead of keeping a diary, she wrote frequent letters home describing her adventure. Years later she translated the letters into English Tomorrow I will begin a blog in her name with excerpts from her letters. Each post will be posted exactly 77 years to the day from the date on which it was written. These letters will be accompanied by snapshots and memorabilia she kept in an album I have recently recovered. This entry was posted in Personal on May 8, 2011 by commentater.